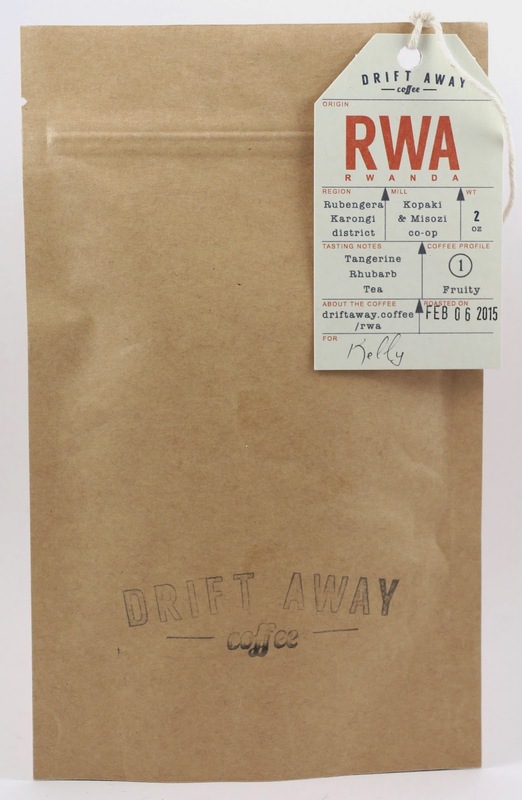 Driftaway Coffee is a coffee subscription that sends you freshly roasted beans every two weeks. 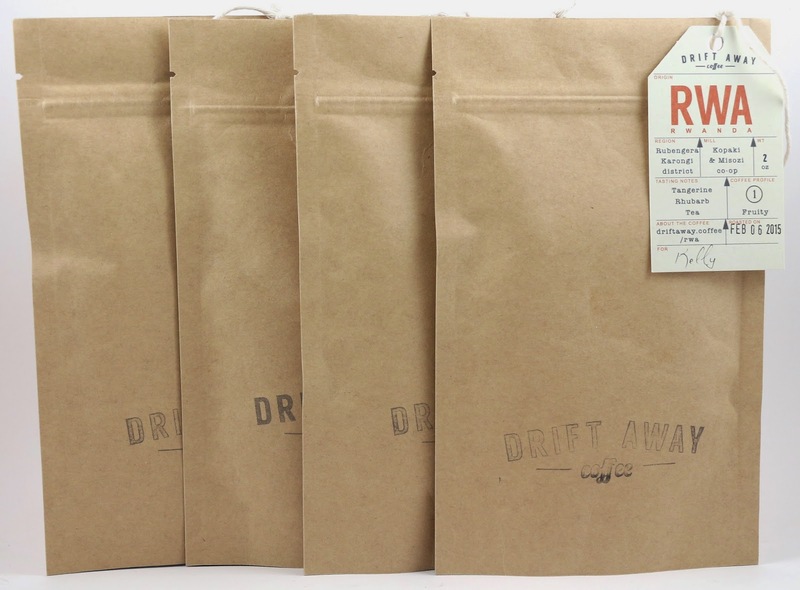 They are unique because for your first shipment, you receive their Rise & Grind Kit, which allows you to try four different coffees so you have a better idea of what coffee profile you'd like for your regular subscription. 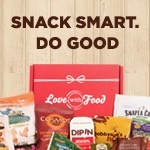 They kindly sent me this tasting kit for review for you! 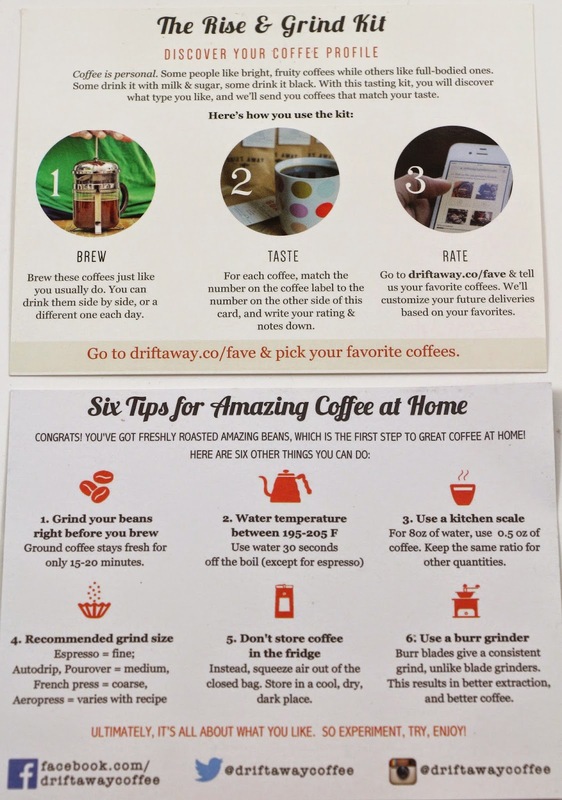 With the kit, you receive these handy info cards that explain how to prepare the coffee for tasting. On the back of the top card, is a section with some info about all 4 kinds of coffee profiles, fruity, classic, balanced, and bold, which correlate with the 4 coffees you receive in the kit. It has a space for notes and whether or not you liked it, that way you can write and review as you taste. 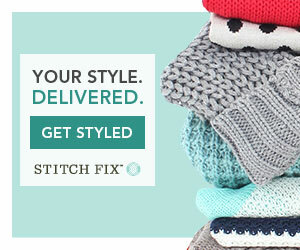 Which is exactly what B and I did! 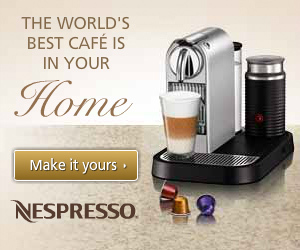 I decided to bring these all over to B's house because he has a really nice espresso machine and a conical burr grinder. We ground about .5-.75 oz of each bag into the conical burr grinder on the smallest grind setting. We then prepared a double shot and taste tested each one, making notes as we went on the Coffee Profile card that was included. I was a little eh on this one when we first tasted it, and B didn't like it. It was the first one we tested. It was fruity, with notes of citrus and lemon, and lightly roasted. It was definitely our least favorite of the four. B and I both liked this one. We thought it smelled chocolatey, with a medium roast. B said it would be good paired with ice cream or gelato for affogato. Which if you don't know what that is, it's a shot of espresso poured over a scoop of ice cream. This was B and my favorite of the bunch, it was quite lovely. It was very balanced, had a mix of notes that made it our favorite one to drink as a plain espresso. I tend to like making iced lattes with my espresso shots, just top the shot with ice and fill the glass with milk. And this one worked well for that as well. This was definitely a darker roast than the others, but it wasn't all that unique. It didn't have anything special distinguishing it from the others. B mentioned it would be a good base for a flavorful creamer if you like doing that. It didn't have any notes or flavors that would distract from that. We both thought this one was just ok. Overall, I thought the coffee included in this subscription was high quality, and it felt like the first time I could really distinguish flavor notes and roasts. I really enjoyed the Rise & Grind Kit, and I think it's worth it to test each one side by side instead of on different days. 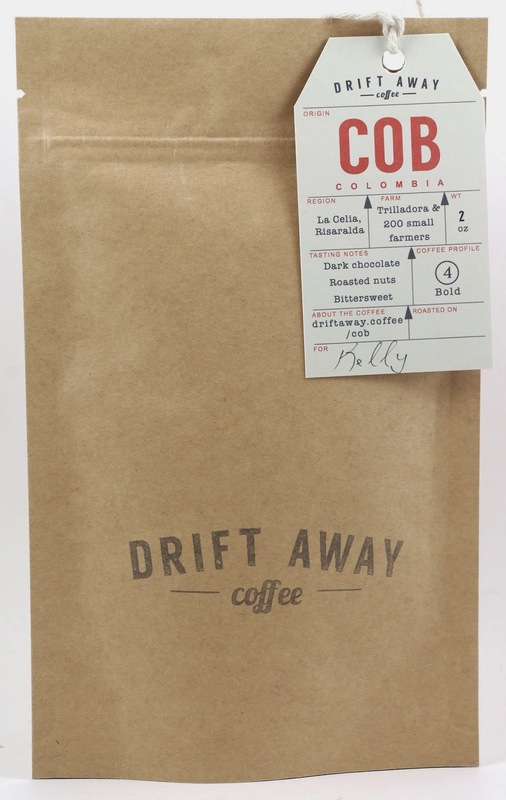 The point of the kit is to discover which coffee profile you enjoy most, so that Driftaway Coffee can send you that kind of coffee every two weeks. Our favorite was definitely the Balanced flavor profile with the beans from Guatemala. And I think it's great that they are always adding new coffees to their arsenal, I would love to be able to try something new every time. I broke down the price point of each cup of coffee you'd make with the beans purchased in the subscription. 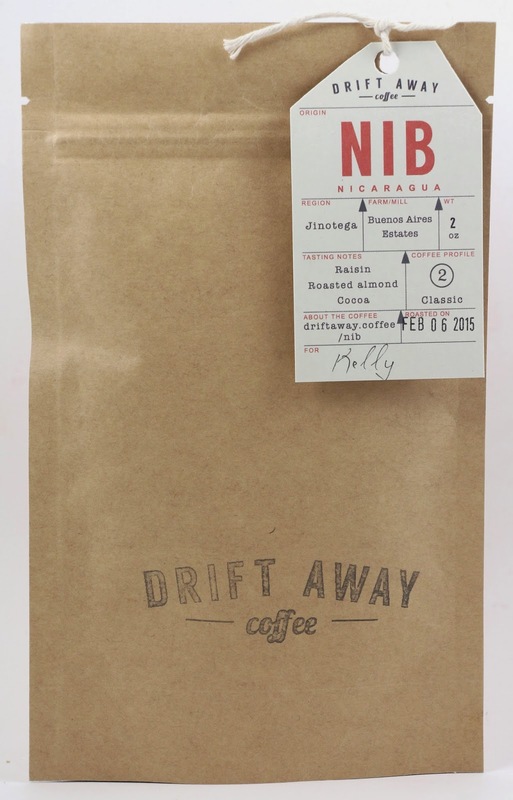 It's actually a reasonable price point for high quality roasted coffee beans you can brew at home. 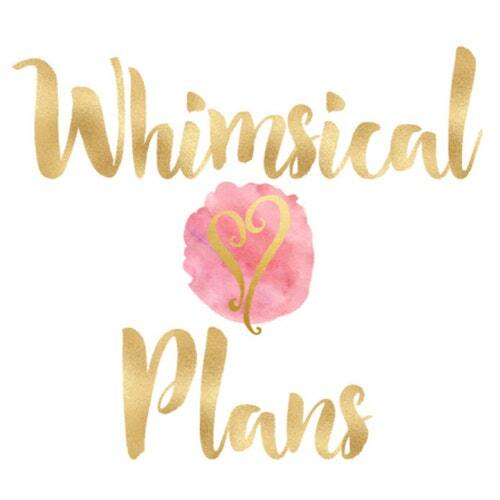 Each plan is under $1/cup. 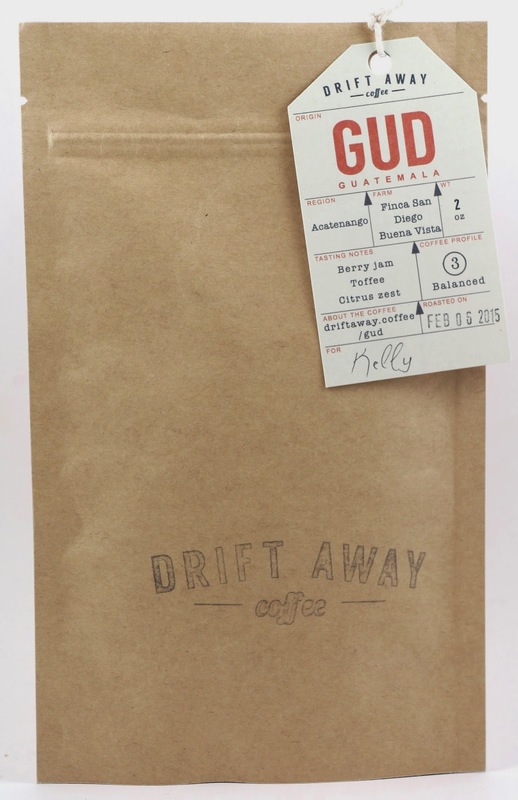 What did you think of Driftaway Coffee? Let me know in the comments!